Do you happen to know when she died? I am reading the book now and I am curious. I do know when and where Lucy died and perhaps, someday, I'll post more about her. Cynthia--love your blog! Hope you can keep up the posts in-between fiddle practice. 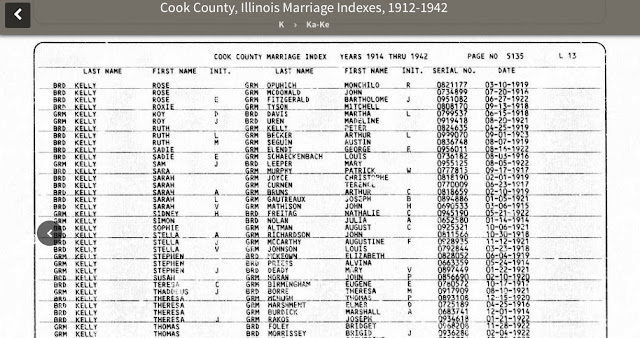 I don't believe Lucy has any living descendants but I think there may be some from Holmes' first marriage. You really need to read the book "The Scarlet Mansion" by Allen Eckert. It's a lighly fictionalized version of the story of H.H. Holmes. It's disturbingly good. I'm currently reading "The Devil in the White City" I like it so far. I very much enjoyed your article! I recently finished reading D.I.T.W.C. and it was endlessly interesting to learn more of these people. I also share Pickles' interest in living descendants of Holmes/Mudgett, and what their take would be on their infamous ancestor. Keep up the great work! I'm glad you enjoyed the post. I've started to put the story of Lucy and her mother to paper (okay, computer screen) and one of these days I might be ready to share it in some way. To me, they lived fascinating lives and I admire both of them for their strength. 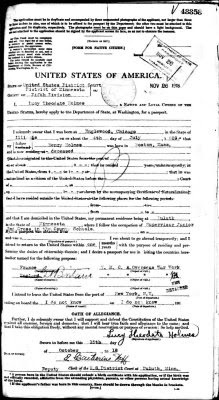 It seems he got a lot of women pregnant, including a farmer's wife in New York, and I'll bet a lot of those children have ancestors...it would be interesting to see if the generations exhibited any of their father's traits in any way.I work in Wilmette.I am going to drive down 11th and get a feel for the area. Thanks for the added information. I just finished Devil in the White City and Erik Larson didn't mention what happened to either of his wives or his daughter, Lucy. 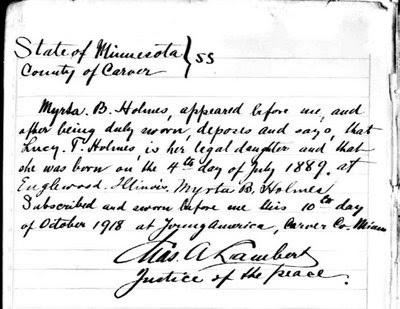 I have been told by my family that we are ancestors of Herman Mudgett, aka, H. H. Holmes. I'm not sure if this is true, but would love to find out. 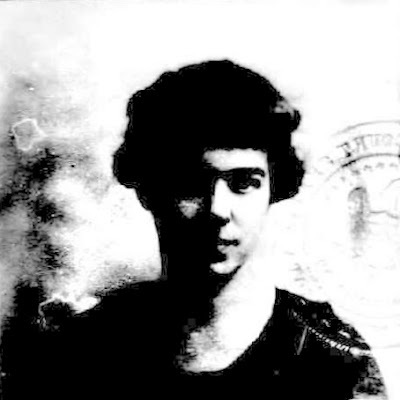 Holmes, daughter of Mrs. Myrta B.
seas in the work of the Y. M. C. A. Actually there are Mudgette descendants.....and he is a writer who has postulated that HH Holmes was also Jack the Ripper.